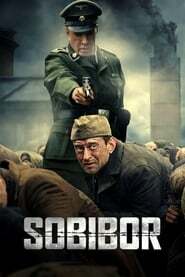 overview : The film is based on a real story that happened in 1943 in the Sobibor concentration camp in German-occupied Poland. The main character of the movie is the Soviet-Jewish soldier Alexander Pechersky, who at that time was serving in the Red Army as a lieutenant. In October 1943, he was captured by the Nazis and deported to the Sobibor concentration camp, where Jews were being exterminated in gas chambers. But, in just 3 weeks, Alexander was able to plan an international uprising of prisoners from Poland and Western Europe. This uprising resulted in being the only successful one throughout the war, which led to the largest escape of prisoners from a Nazi concentration camp.